The Tucson Law office of Kathryn L. Johnson, understands that bankruptcy can be an emotional and life-changing event for many people. The good news for most people is that bankruptcy is often just a strategic move required to ultimately improve one’s financial standing in life. Kathy Johnson helps the residents of Tucson and southern Arizona to move forward in their life after bankruptcy, giving them clear and decisive advice regarding post-bankruptcy life. When people understand that bankruptcy is strictly a strategic move that leverages the legal system to eliminate debt, they can move confidently ahead with their life knowing that they are starting fresh with a clean slate. It is important for residents of Tucson and southern Arizona to understand that the stigma associated with bankruptcy is often unfounded and can ultimately deter one from making the right choice. Ultimately, bankruptcy should be viewed as a strategic financial move designed to remove excessive financial burden and allow people to move forward with their lives. Lawyer Kathy Johnson helps residents of Tucson and southern Arizona to understand the true nature of bankruptcy and how it can benefit those seeking financial relief. For example, while it is true that bankruptcy may indeed affect one’s credit, ultimately it can actually work in a positive way to improve one’s credit over the long-term. In addition, contrary to popular belief most of one’s assets can be retained throughout the bankruptcy process. Finally, bankruptcy is not something to be embarrassed about, but is rather a federally sanctioned system to help individuals regain control of their financial lives. Residents of Tucson and southern Arizona should not hesitate contacting Kathy Johnson for more information with regard to bankruptcy and its potential to help improve one’s financial condition. It is also important to note that Kathy works diligently with her clients to devise a payment plan that is suitable to each individual’s particular budget. As a debt relief agency, our offices assist people in filing for Bankruptcy under established federal bankruptcy code. 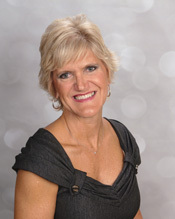 Call today for your free no-obligation initial visit with Kathy L Johnson.